‘Gecko Beach Club Formentera: Volume Two’ is the latest instalment in the Gecko compilation series. 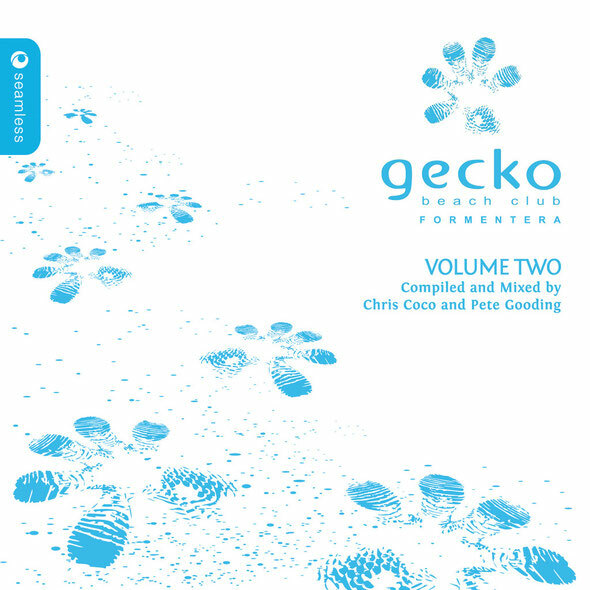 Like its predecessor, it captures the unique vibe and ambience of the Gecko Beach Club, this time across two discs of music and compiled and mixed by Chris Coco and Pete Gooding. Nestled on Migjorn Beach on the island of Formentera, the Gecko Beach Club is an exclusive getaway, set amongst tropical gardens and sand dunes with only a stretch of clear blue Mediterranean water separating it from Ibiza. With a clientele including the likes of Kate Moss, Gecko is a popular beach club and chill out location. The new compilation encapsulates the intimate, laidback vibes of the Gecko Beach Club by day and by night. The first disc, compiled and mixed by Chris Coco, embodies a relaxing day at Gecko, hanging out by the pool, taking a yoga class on one of Gecko’s many decks or, sunbathing on its beaches. Former Radio 1 DJ Chris is renowned for his laid back production and eclectic beach sets, so is a good choice for this album. His mix also features beach classic, ‘Everybody Loves The Sunshine’, plus, ‘My Desire’, taken from his own label, Melodica. The second disc by Pete Gooding takes the listener on a journey through an evening on Formentera. There are many nods to the influence of bigger brother, Ibiza, yet it still retains the individuality and charm that makes both Formentera and Gecko Beach so special. As a long standing production partner of Chris Coco and resident at Café Mambo, Pete lives and breathes music in his home residence, Ibiza, and takes the tempo up a notch with tracks like, ‘Twisted Sister’ by M.A.N.D.Y. and own productions, ‘Same Old Street’ and, ‘Those Eyes’, the latter released on Seamless Deep. The album comes complete with a 16 page booklet featuring a series of sun-drenched images from the Gecko Beach Club that together with the soundtrack could have you booking flights before the album is finished! It’s out July 15 on Seamless Recordings.